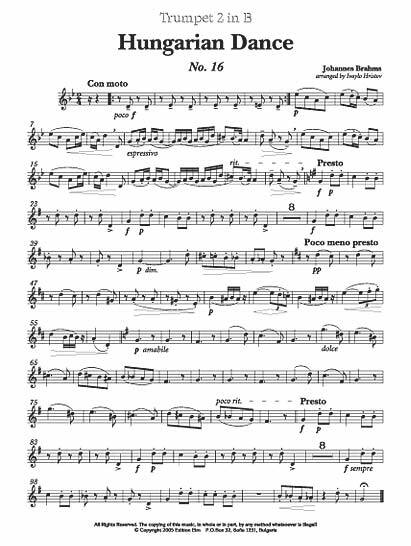 Prima tromba suona anche tam-tam, seconda tromba – chimes, corno – fischio d'acqua. 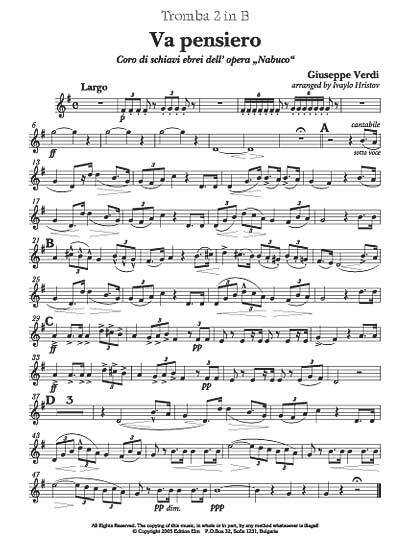 Seconda tromba suona anche flügelhorn. 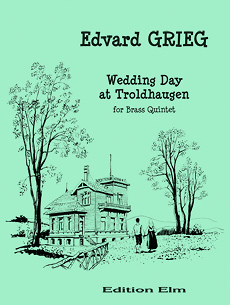 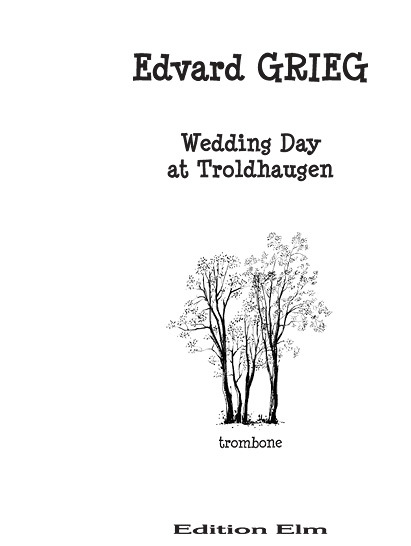 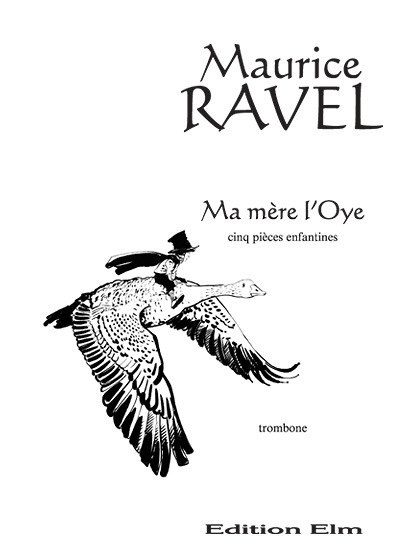 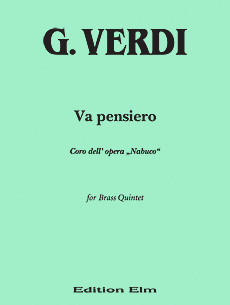 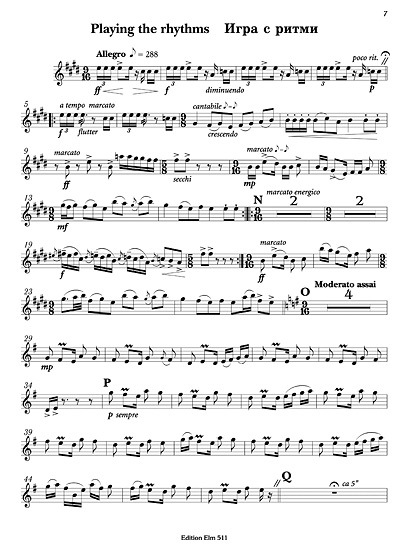 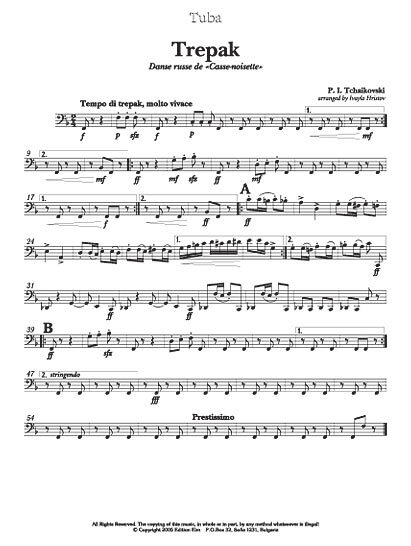 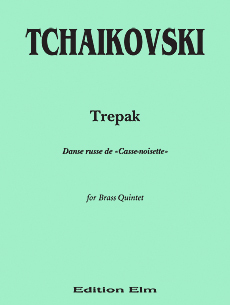 Arranged for Brass Quintet by Vasil Todorov. 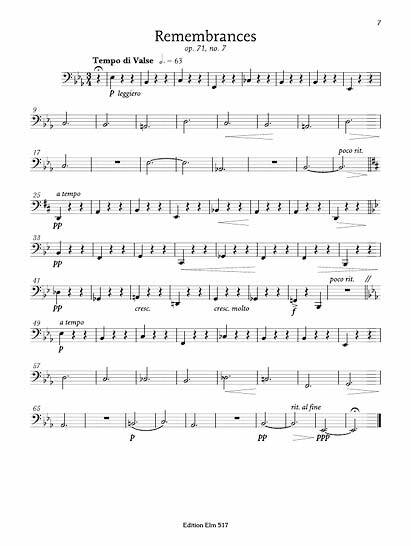 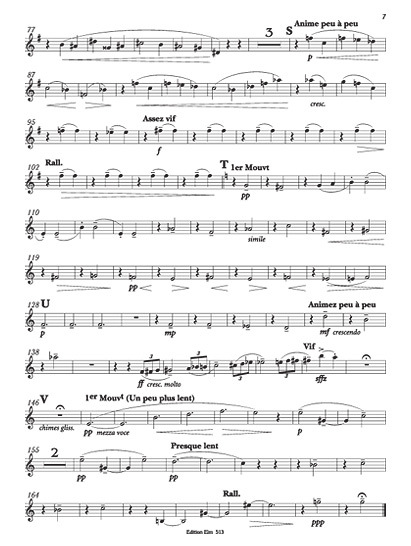 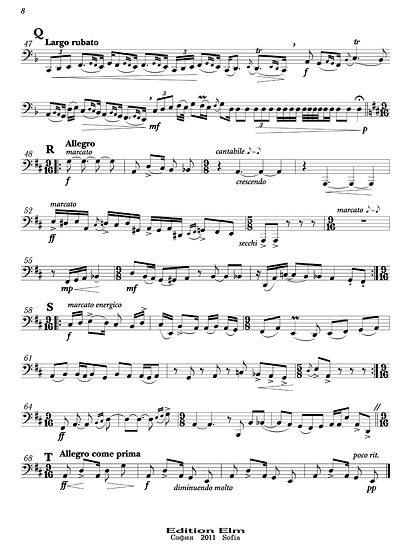 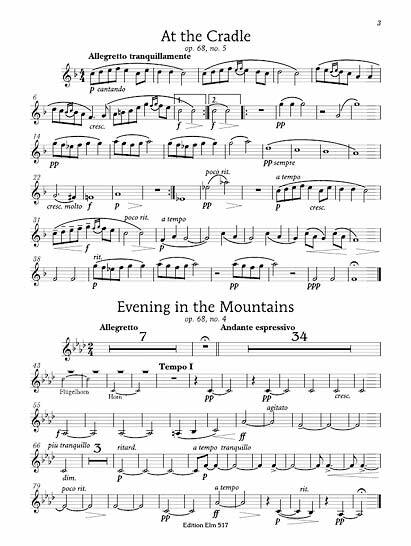 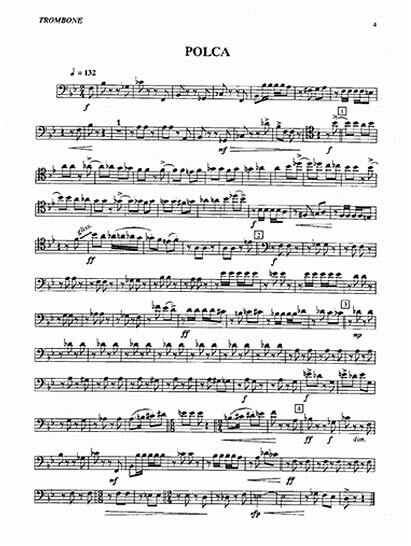 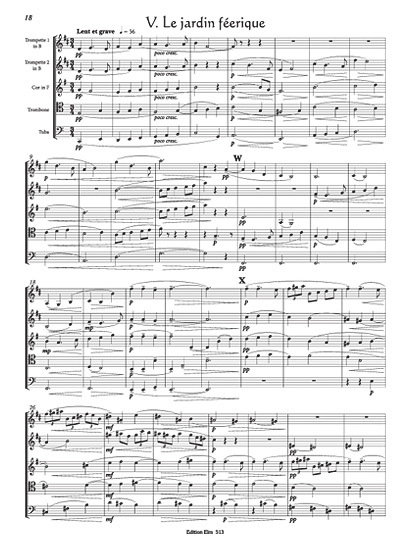 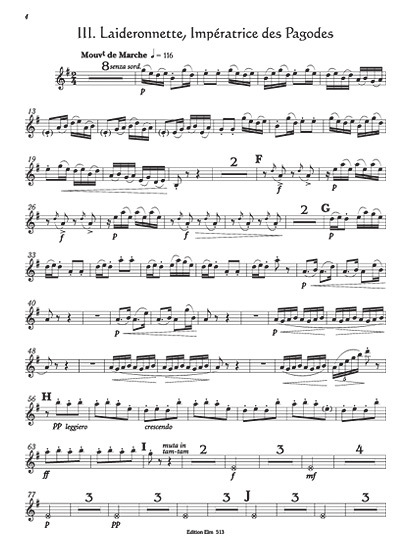 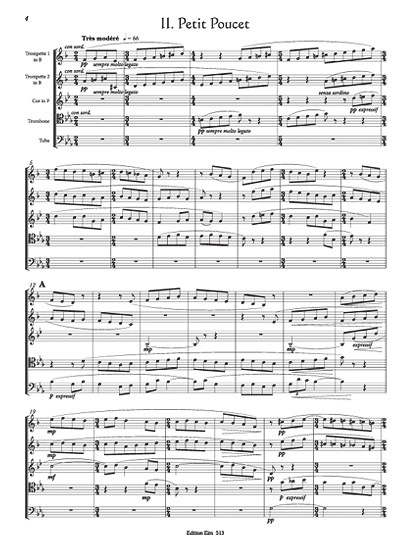 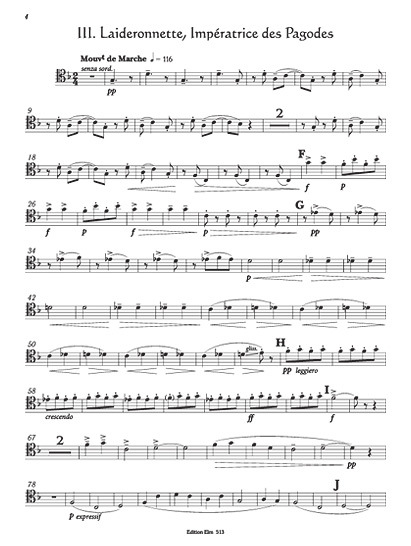 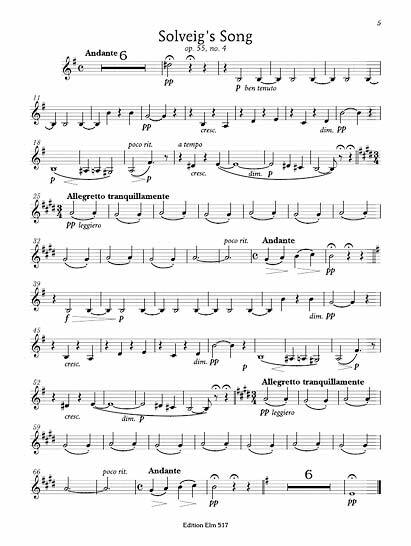 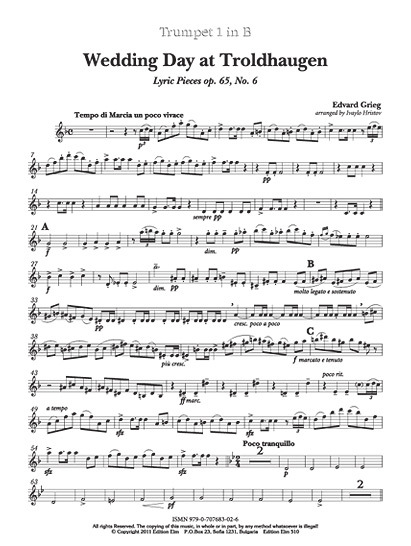 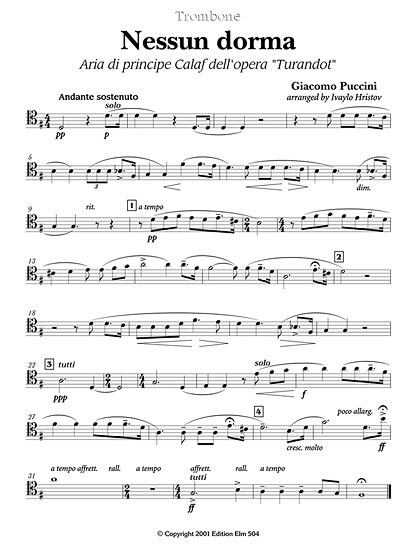 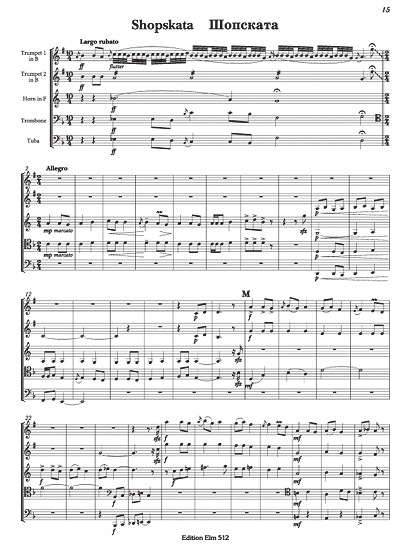 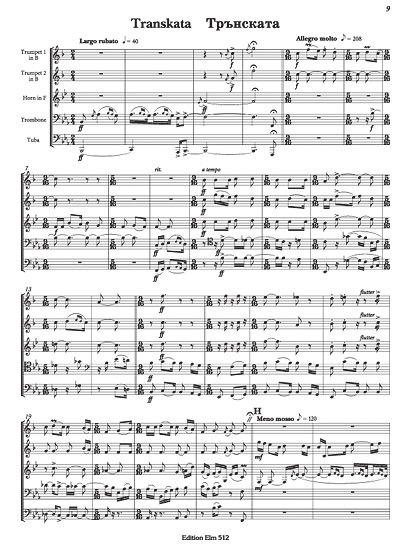 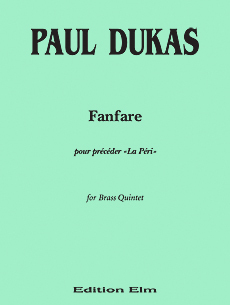 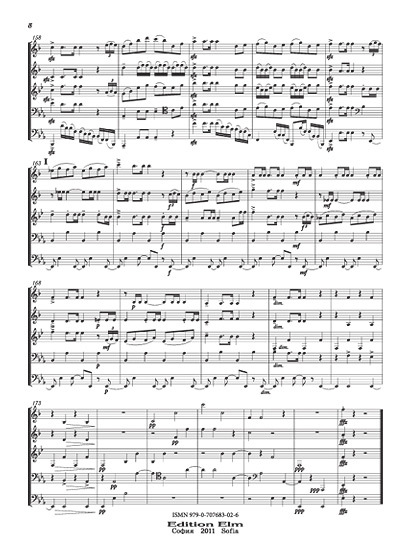 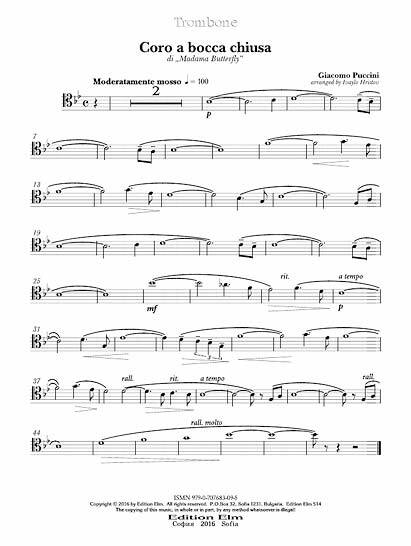 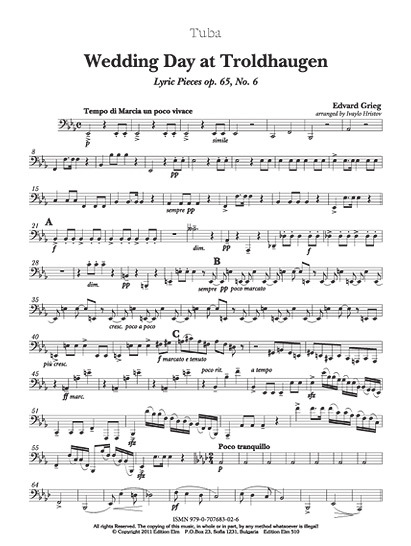 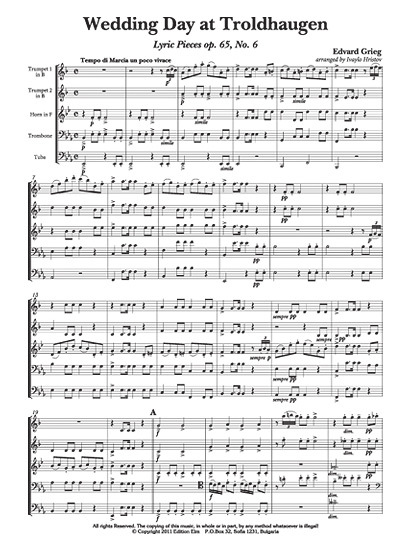 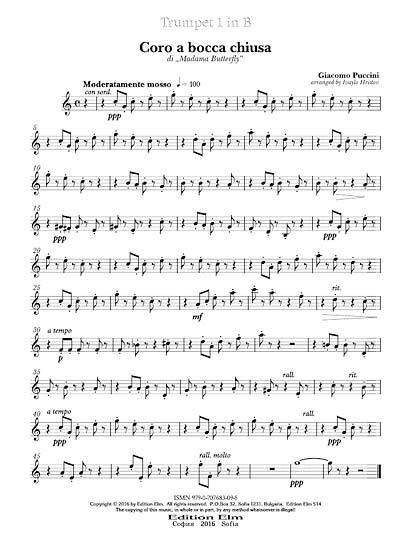 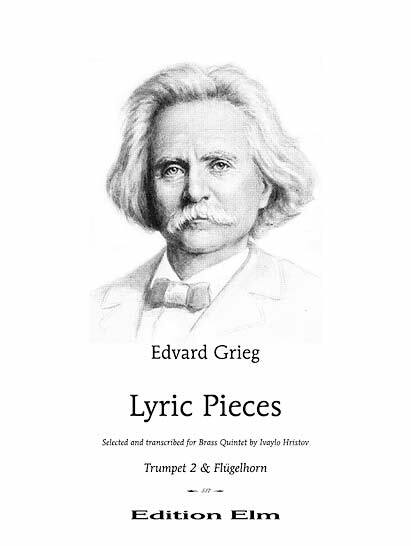 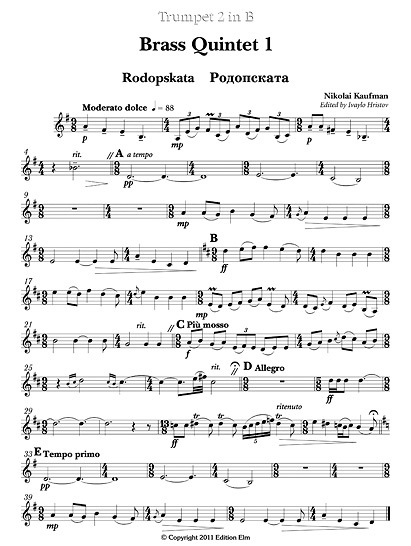 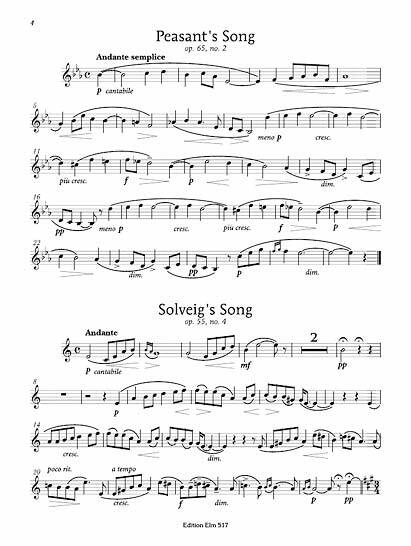 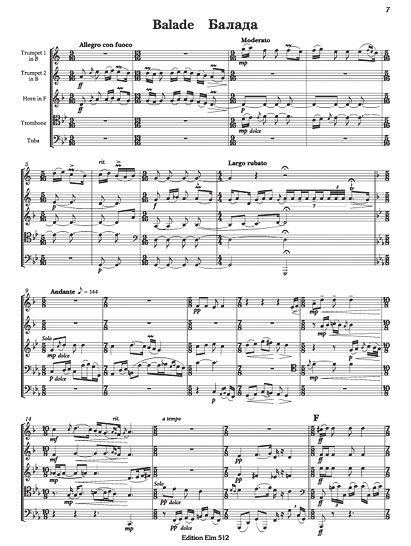 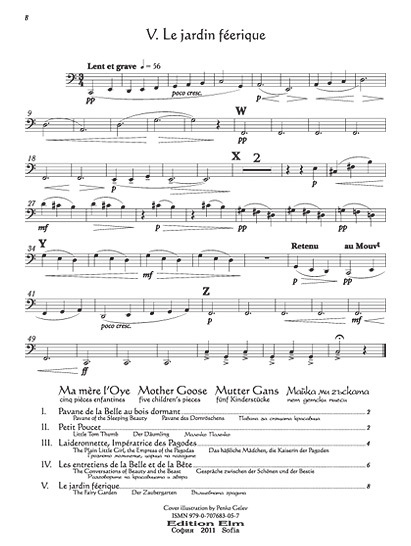 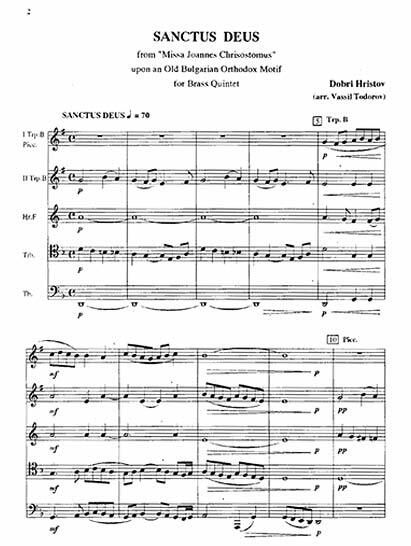 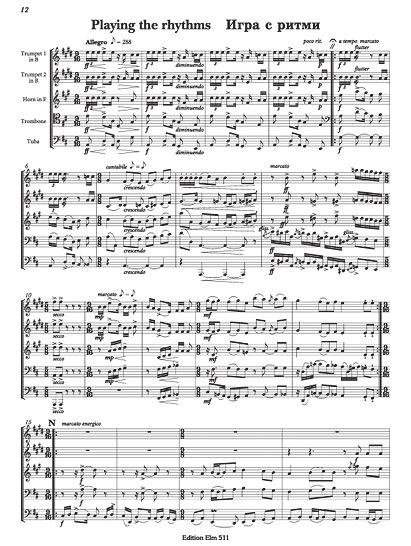 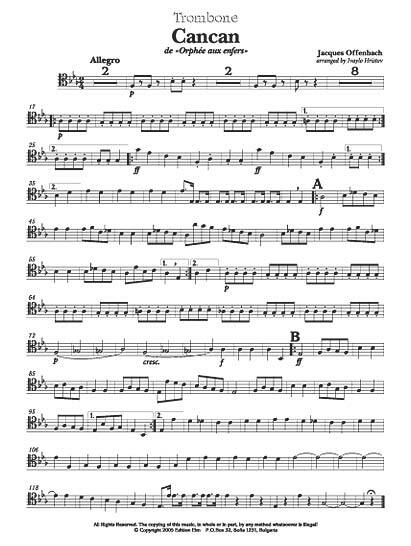 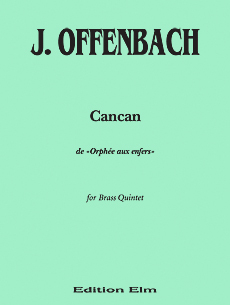 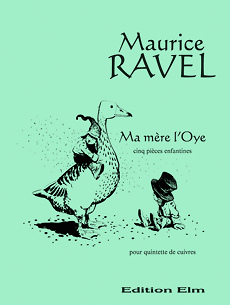 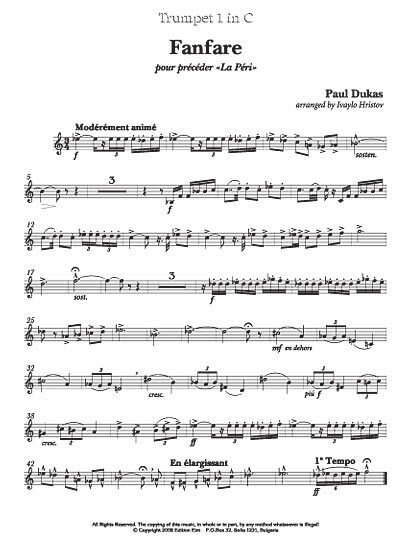 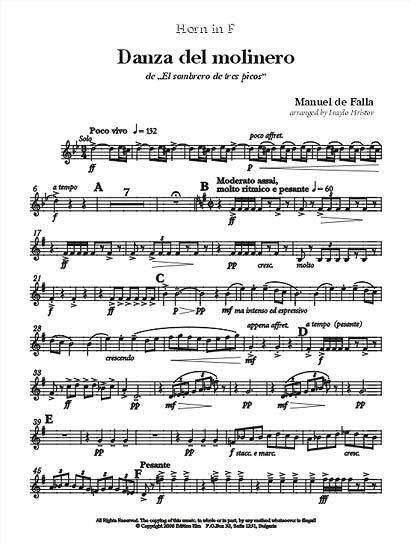 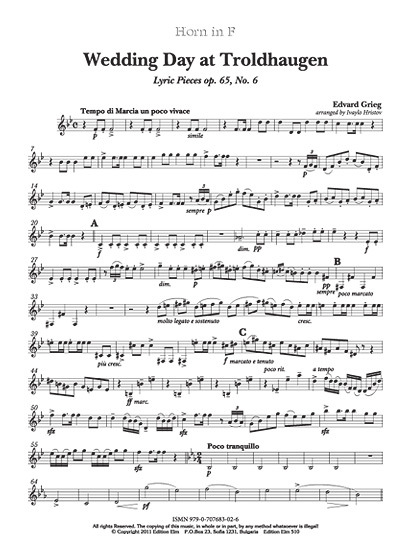 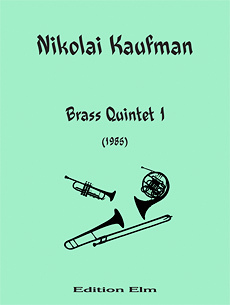 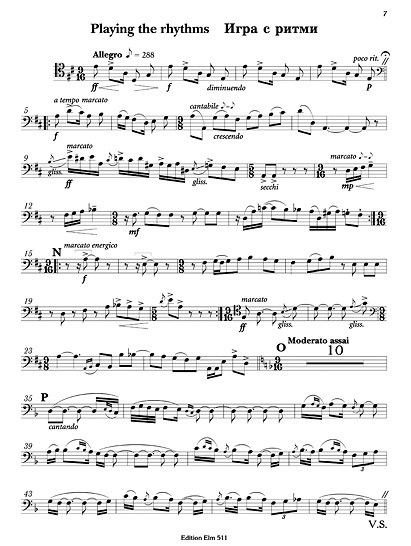 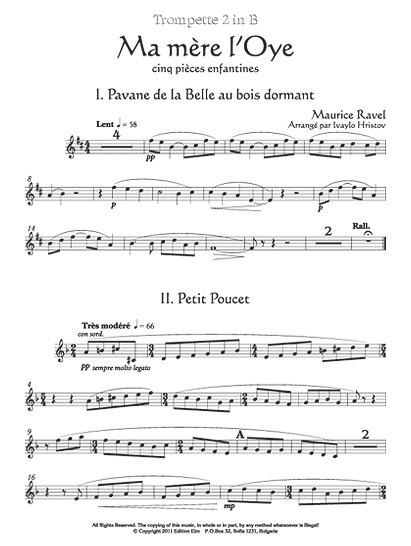 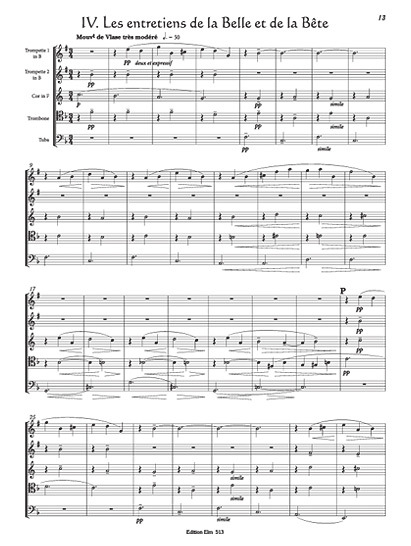 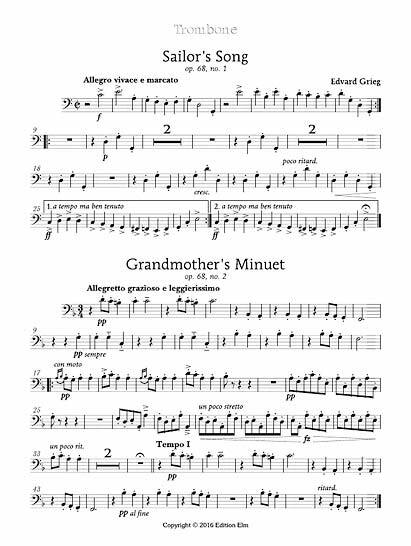 Three Pieces for brass quintet are composed in 1985 in memoriam of Serge Prokofiev. 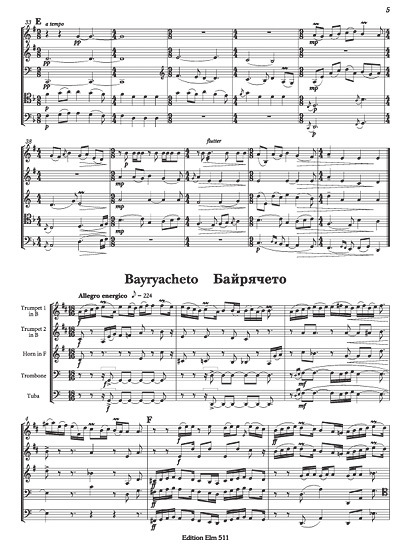 The Intruder, The drunk and The buffoon are the characters described in each piece. 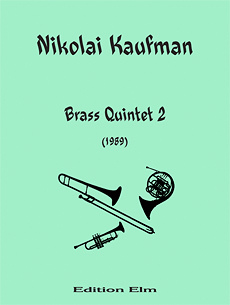 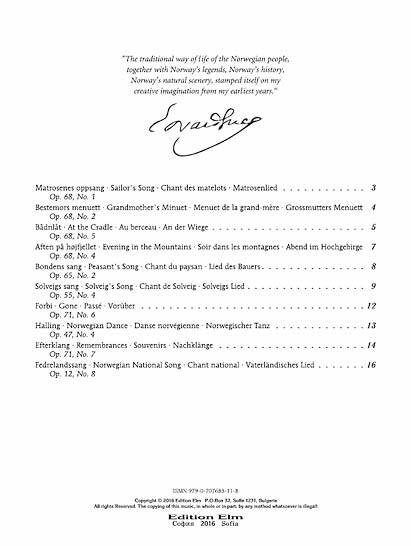 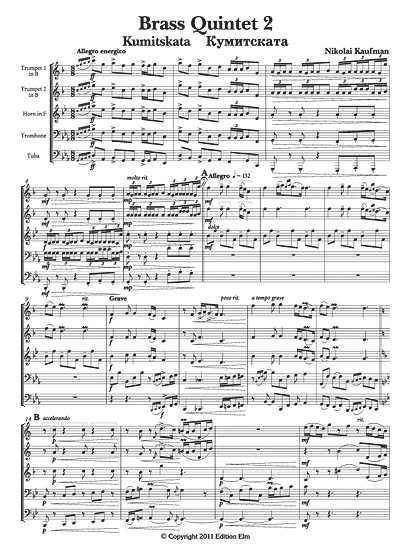 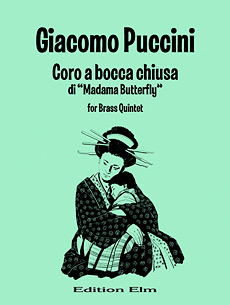 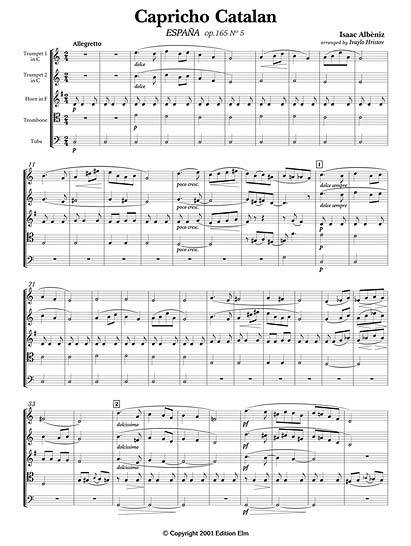 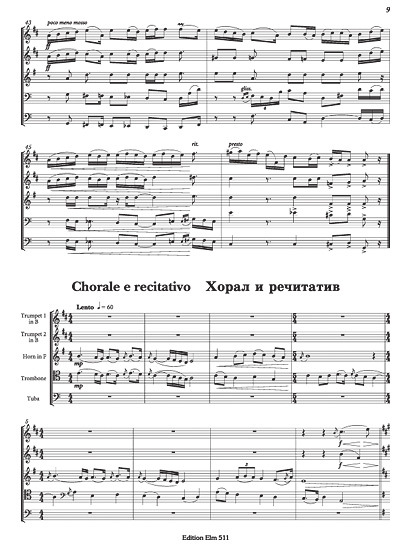 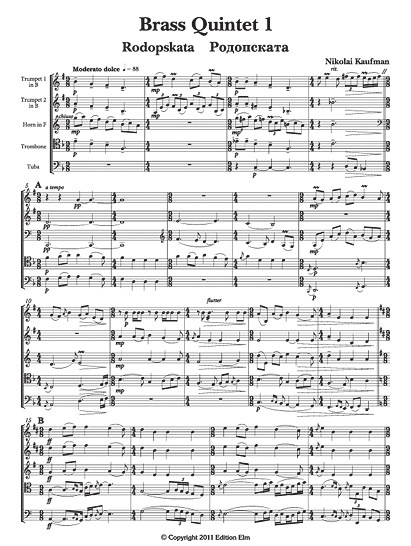 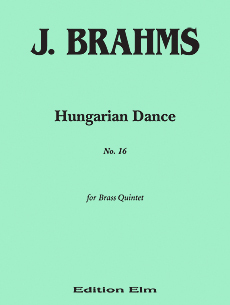 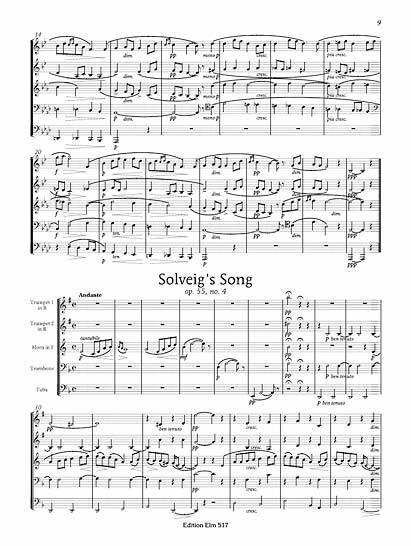 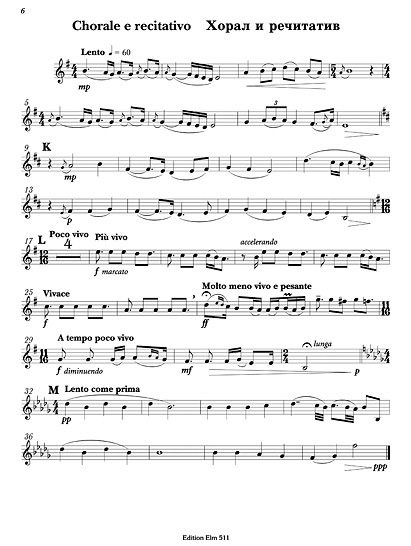 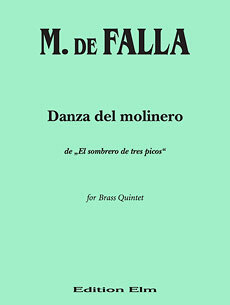 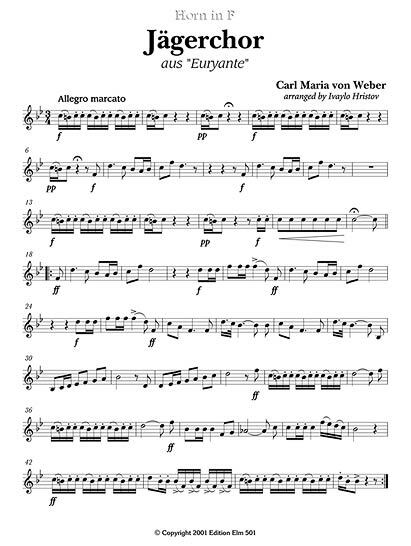 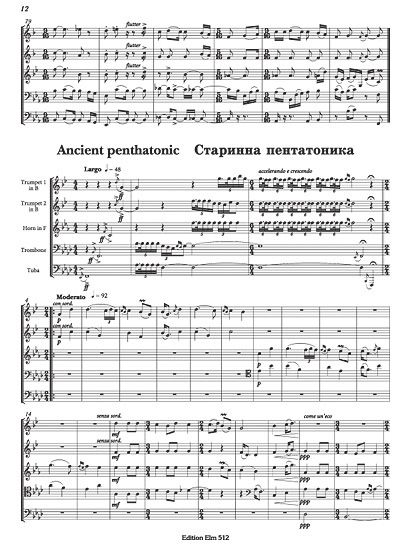 Written for Sofia Brass Quintet Three Pieces were premiered in the same year and is played oftenly with great success.